WDBJ general manager Jeff Marks did not hold back in his anger over the deaths of his two young staffers, reporter Alison Parker and photographer Adam Ward, who were shot to death live on air. Marks appeared on the station's noon broadcast Wednesday which reported that the suspected gunman had been shot and was clinging to life. Marks said he wanted to "reflect" on the day's tragedy. "I'm going to step out of my role as a former journalist and say I'm not sure if I want him to live or die," Marks said. "If he dies, he took the coward's way out." Later Wednesday, it was confirmed that the gunman had died of a self-inflicted gunshot wound. Marks said that as a journalist, "I'm speaking way out of turn," but said that "On behalf of WDBJ, I wanted to let that little bit of anger out." Sniffling could be heard off screen as Marks spoke. The suspected gunman was identified as Vester Flanagan, who went by the on-air name of Bryce Williams. Flanagan was dismissed from the station two years ago. Earlier on Wednesday, Marks and his staff had the awful task of reporting the deaths of their colleagues, Parker and Ward. Following the gun shots during the 6:45 a.m. interview, the studio immediately cut to anchor Kimberly McBroom. "OK, I'm not sure what happened there," said a shocked McBroom with her mouth agape. "We will, of course, let you know as soon as we find out." Marks, his white hair mussed, went on air to confirm the deaths of his coworkers. "It is my very, very sad duty to report that we have determined through the police and our own employees that Alison and Adam died this morning," Marks said. "Our hearts are broken." He also said that the two were loved and in love at the station. "You send people into a war zone and into dangerous places, riots, and you're afraid they're going to get hurt. You send people out to do a story on tourism, how can you expect this to happen?" Marks told CNN. Marks thanked rival news organizations for helping to report on news the station couldn't get to on Wednesday and law enforcement for helping. He said for a while the station kept all of its employees inside the building. The station also showed a segment that honored the work of both Parker and Ward. Parker and Ward were in relationships with those also working at the station. Ward was engaged to be married to Melissa Ott, who as a morning show producer at WDBJ was in the control when the shooting took place. She witnessed the shooting live, Marks said. Marks said Wednesday was supposed to be a day of celebration since it was Ott's last day on the job. She was leaving for a job in Charlotte, and Ward was to supposed to go for a job interview in Charlotte later on Wednesday, he said. Parker had recently moved in with WDBJ's evening anchor, Chris Hurst. Hurst described himself in a series of tweets as "numb" and said that Parker was "the most radiant woman I ever met." WDBJ's website set up a page for condolences which included tweets from Virginia senators Tim Kaine and Mark Warner and Governor Terry McAuliffe. 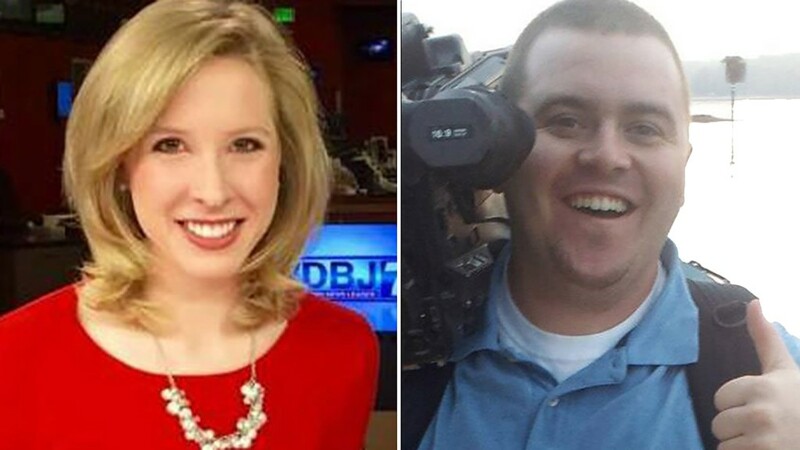 Those at WDBJ also took to social media to express the loss they felt over the deaths of Parker and Ward. "We love you, Alison and Adam," the station's official account tweeted out on Wednesday. WDBJ is a CNN affiliate that has been on air since 1955, and is own by Schurz Communications. It is known locally by its slogan "Your Hometown News Leader." "They were the kindest nicest people who worked here," Marks told CNN's Ashleigh Banfield earlier on Wednesday.